Delicious, sweet, animal-free, non-dairy Lemon Creme pudding! Keep this simple to make mix in the pantry for a quick and easy treat. Simply add cold water (or non-dairy milk of your choice), mix until smooth and creamy, then cover and refrigerate until firm. Each 4 oz. 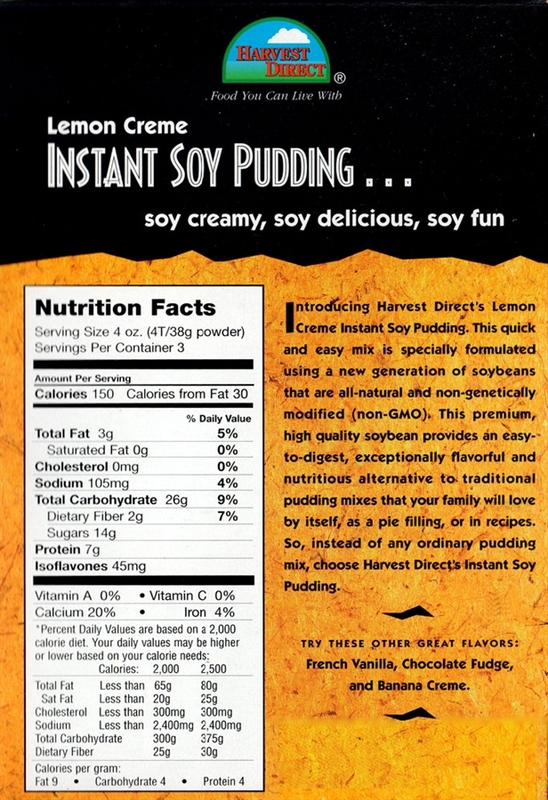 package makes 3 servings of delicious, vegan, Lemon Creme pudding. Again I am very happy to have ordered this and will certainly do so again. I enjoy lemon and pudding, and this reminded me of neither. It was disgusting. It tastes of Tums and has an extremely gritty and chalky texture.